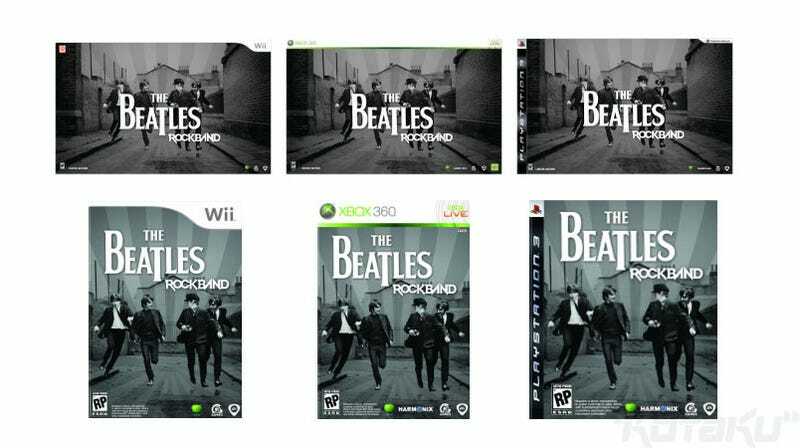 Beatles: Rock Band isn't just pitched at "gamers". It's pitched at Beatles fans, which is, well, most people. So the box art had to be classy! Does it succeed? I think it's classy. Though some Yellow Submarine art on the big pack would have looked nice. The Fab Four are coming to Rock Band, and they&apos;ve got a limited edition bundle to prove it.